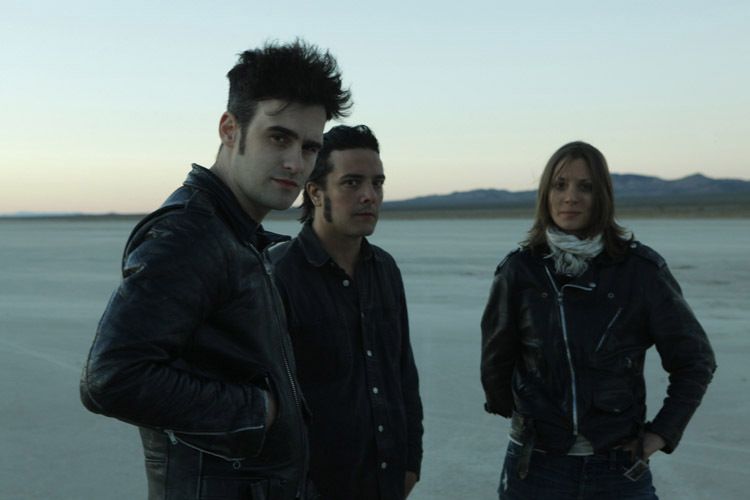 Brixton Academy was once again packed for the return of Californian rockers Black Rebel Motorcycle Club. As the queue stretched down the alleyway and touts flogged tickets for yet another sold out show, the crowd inside grew as support act The Big Pink took to the stage. Robbie Furze proved with this show that he can stand strong on his own, following the recent departure of band mate Milo Cordell. Furze and his painfully cool all-female backing band stormed through their slick set making their way through the highlights of two great albums. “It’s always amazing to play Brixton Academy,” declared a slightly overwhelmed Furze before ending the set on The Big Pink’s biggest hit to date ‘Dominoes’. Soon it was time for the main event; the return of Black Rebel Motorcycle Club to Brixton Academy. The band opened with a cover of 1980s band The Call’s ‘Let the Day Begin’ as a tribute to The Call frontman Michael Been, father to BRMC bassist Robert (Michael Been died suddenly in 2010 while on tour with BRMC as their sound engineer). After this fitting tribute it was down to business. It’s clear that Black Rebel Motorcycle Club wanted to make sure they announced their comeback to Brixton Academy loud and proud. Starting with ‘Revival’, the band kicked off their two-hour set by rattling off high energy hits including ‘Whatever Happened to my Rock ‘N’ Roll’ and ‘Beat the Devil’s Tattoo’ to the delight of the crowd. The lighting was stark and raw silhouetting the band onto a plain white backdrop. Something about it made you feel like you’d gone back in time. As we approached the middle of the set everything slowed down as Hayes and Been took it in turns to play solo acoustic numbers under single spotlights. Admittedly some of crowd took this as the cue to go to the bar, but all in all it went down well, especially when Hayes brought out the harmonica. Soon the band brought everything back up to the noise level you would expect of a group named after Marlon Brando’s biker gang in the The Wild One. The latter half of the set was mainly made up of new songs before they pulled out their classic anthem ‘Six Barrel Shotgun’. After bringing the house down with ‘Spread Your Love’ the band disappeared off into the wings, before returning for a rather mellow, yet fitting encore. They ended on an extended version of ‘Lose Yourself’ from the new album. The house lights came up and all that was left was a young bloke desperately looking for his missing shoe. That’s when you know you’ve been to a great rock gig.